The Talking Point ‘Death by neglect’, by Malcolm Borg (January 3), is a serious eye-opener. Other supportive articles published recently also highlight the value of promoting our agriculture. This is not simply or even primarily about the decreasing income of farmers in the face of outside mass competition and blind consumerism. It is also about a lifestyle, health, landscape and identity. Various works in recent years, such as those by Noel Buttigieg and Carmel Cassar, or Claudia Caruana in New York, among others, have focused on cuisine based on local produce, custom and palate. 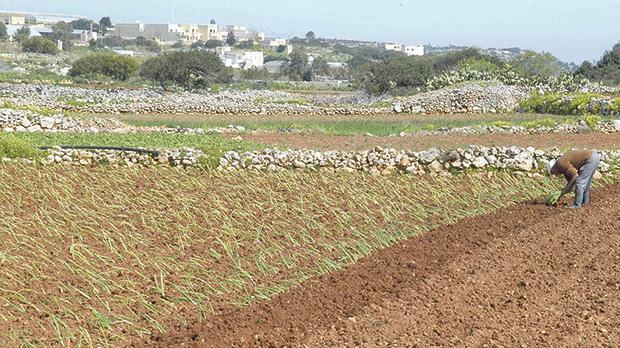 At the Institute of Maltese Studies, that of Earth Systems and Mcast, related topics on crops, livestock, fertility, nutrients, herbs, etc are taught at tertiary level, hopefully with the effect of attracting young and better-instructed farmers. Such cultivation is an a age-old tradition that largely makes us who we are. Food is also a communal Maltese magnet locally and overseas. Were it not for the availability of local produce, and in spite of the black market in wartime, Malta might well have surrendered in 1942. This is a security consideration. Farming, therefore, deserves every support it can get. Lip service and unfulfilled promises would not do. I also strongly believe that various unique local products should be branded and included as a part of world heritage.